(Bloomberg) -- A $255 billion debate is raging among the world’s biggest automakers. Some think electric cars made by companies besides Tesla Inc. stand the chance to be hits, while others think they’ll fail to really sell. 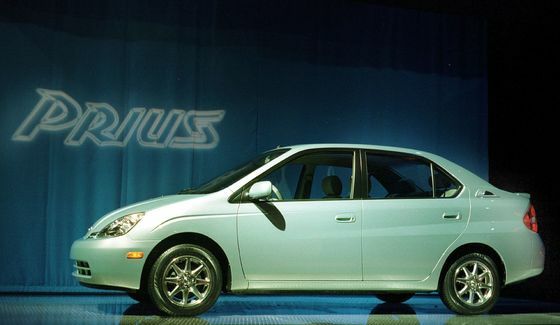 Toyota Motor Corp. may have kicked off the green-car movement with its Prius hybrid more than 20 years ago, but the company is not nearly as bullish as rivals about the American consumer embracing EVs. Bob Carter, executive vice president of sales for Toyota Motor North America, said at a conference affiliated with this week’s New York auto show that batteries are still too expensive and place plug-in cars out of reach for many buyers. Carter commented about an hour after Scott Keogh, the chief executive officer of Volkswagen AG’s U.S. unit, told the same audience of auto dealers and industry executives that Tesla has proven electric cars are here to stay. VW plans to sell them globally, with a U.S. debut starting in 2022. The German giant still dealing with the fallout from its diesel scandal that erupted almost three years ago plans to build a small, all-electric sport utility vehicle as part of an $800 million investment in its Chattanooga, Tennessee, assembly plant. Battery-powered cars are a big gamble for automakers. 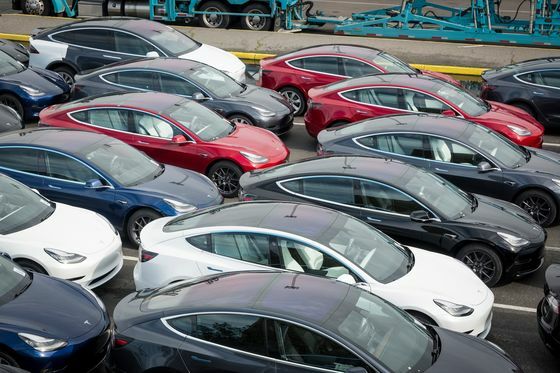 Many of them are racing to market with electric models both to meet stricter emissions standards around the globe, and since Tesla’s Model 3 started selling briskly last year. Collectively, carmakers will spend $255 billion making electric autos by 2022, according to consulting firm AlixPartners. Keogh said that VW’s research shows an electric car will be on top of many consumers’ shopping lists either the next time they buy a vehicle, or upon their following trip to the market. Besides Tesla, Keogh said General Motors Co. also appears dedicated to selling electric vehicles and will be a key competitor. The Detroit-based automaker has said it plans to sell 20 electric cars globally by 2023. Toyota’s Carter remains unconvinced. He said after his speech that Toyota will sell an electric model in the U.S., but declined to say when.